Carl Glatstein limits his practice to the areas of guardianship, conservatorship, wills and trusts, probate administration and Medicaid. He represents family members as well as several professional fiduciaries serving as guardians, conservators, trustees and personal representatives. Over the years he has handled a wide variety of matters related to the area of protective proceedings. In addition, he has litigated numerous contested cases including guardian/ conservator appointment proceedings, will contests, removal of breaching fiduciaries, and recovery of assets in financial exploitation cases. As a natural outgrowth of his practice, he also prepares wills and trusts, including special needs and discretionary trusts with a goal of preserving public benefits for incapacitated individuals. He advises clients, as well as other attorneys and advocacy organizations on issues relating to guardianship/ conservatorship, powers of attorney and end-of-life matters. He has served as court-appointed counsel and as guardian ad I item in several challenging cases. He is active with the Colorado Bar Association, having chaired the Elder Law Section, the Committee on the Uniform Guardianship and Protective Proceedings Act, and the Civic and Community Affairs Committee. 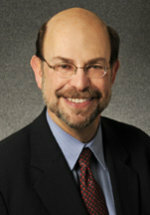 Mr. Glatstein is a Fellow of the American College of Trust and Estate Counsel. He is Lecturer at Law at the University of Denver Sturm College of Law teaching elder law since 2005. He chairs the Elder Law Institute, which provides advanced training programs for attorneys and related professionals. He is a past chair and active member of the Denver Community Bioethics Committee, one of the few non-institutional ethics committees in the country. He is also a member of the Guardianship Alliance of Colorado, a non-profit advocacy organization, and the National Academy of Elder Law Attorneys. His materials have been used in training and resource manuals by state and county adult protective services and law enforcement agencies, and numerous continuing legal education programs. He is a frequent lecturer on elder law and probate topics including guardianship and conservatorship, Medicaid issues, exploitation of the elderly and probate administration.